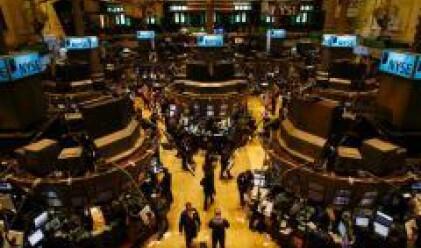 Following yesterday's decline the four indexes of the Bulgarian Stock Exchange (BSE) ended today's session mixed in narrow trading. The SOFIX blue-chip index slipped by 0.02% to 1,216.15 points. The broader BG40 index recovered 0.20% of yesterday's loss to close at 336.05 points. The BG REIT index ended 0.97% down at 95.44 points, while the BG TR30 index advanced by 0.37% to 825.44 points. BSE's trading turnover amounted to 7.82 mln leva today, while the number of traded issues stood at 124. A total of 44 of the stocks ended the day with gains. The value of the block deals and other registered trades stood at 2.61 mln leva. A total of 66,645 shares in Synergon Holding traded hands in 41 transactions on the day. The stock depreciated by 2.51% to an average of 8.94 leva per share. Zarnenie Hrani Bulgaria was also among the most traded stocks today. The shares of the company depreciated by 2.18% to an average of 2.69 leva per share. Corporate Commercial Bank's stock price went up by 0.46% to 88.18 leva per share after 42,718 shares traded on the day. The shareholders of the bank decided today to allocate the profit for 2007 to the Reserves fund. First Investment Bank closed 0.14% down at an average of 7.08 leva per share. A total of 39,721 shares in the bank traded hands today. Eurohold Bulgaria also ended the day in negative territory. The stock price of the company slipped by 1.74% to an average of 5.63 leva per share. Holding Roads and Trace Group Hold were BSE's most liquid stocks today. Holding Roads shed 5.52% to an average of 1,044.34 leva per share, while Trace slipped by 4.93% to an average of 141.97 leva per share. Moststroy's stock price also declined by 4.79% to an average of 140.99 leva per share. Agria Group Holding advanced by 7.76% to an average of 8.89 leva per share after 13,199 shares traded. A total of 13,378 shares in SAF Magelan traded hands on the day, while the stock of the company depreciated by 2.56% to an average of 19.01 leva per share. A press conference on the future of Bulgartabac Holding will be held tomorrow, while the deadline for the publishing the companies' consolidated first quarter reports expires in four days.